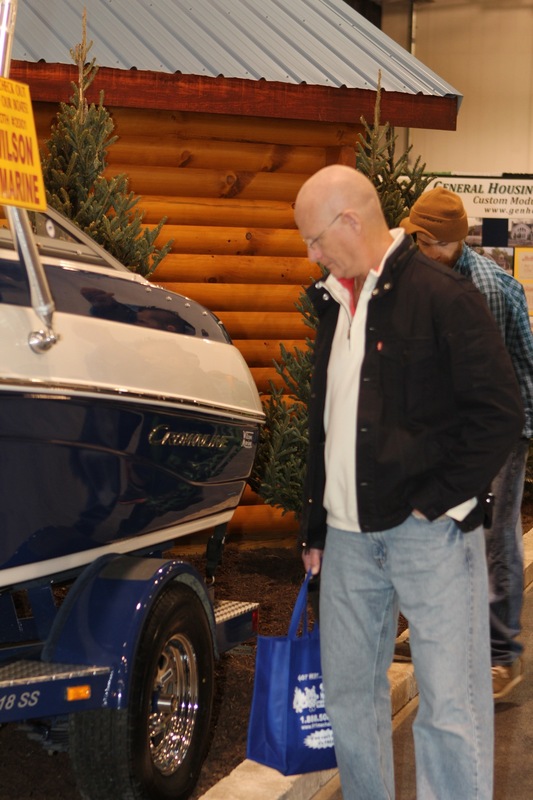 Walk through a full-size cabin, put your toes in the sand at The Beach and find out about replacing a dock or seawall at the Cottage & Lakefront Living Show, March 1 - 4, in Novi. 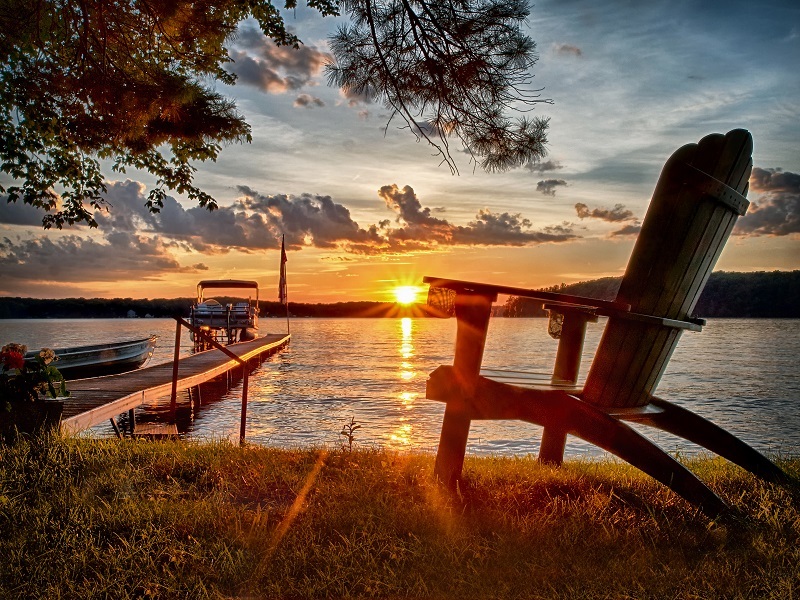 It is the pre-season destination for property and vacation homeowners or those looking to buy, build, rent or maintain cottage and lakefront property. 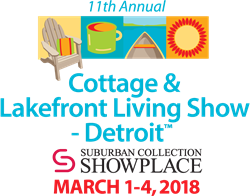 Cottage & Lakefront Living Show, March 1 - 4 in Novi, Mich.
Property and vacation homeowners, or those looking to buy, build, rent or improve, will be preparing for summer at the 11th annual Cottage & Lakefront Living Show opening Thur., March 1 and running through Sun., March 4 at the Suburban Collection Showplace in Novi. Michigan artists featured in the Cottage Fine Art Show will present metal art, wood furniture, jewelry, photography, cottage décor and paintings for sale. 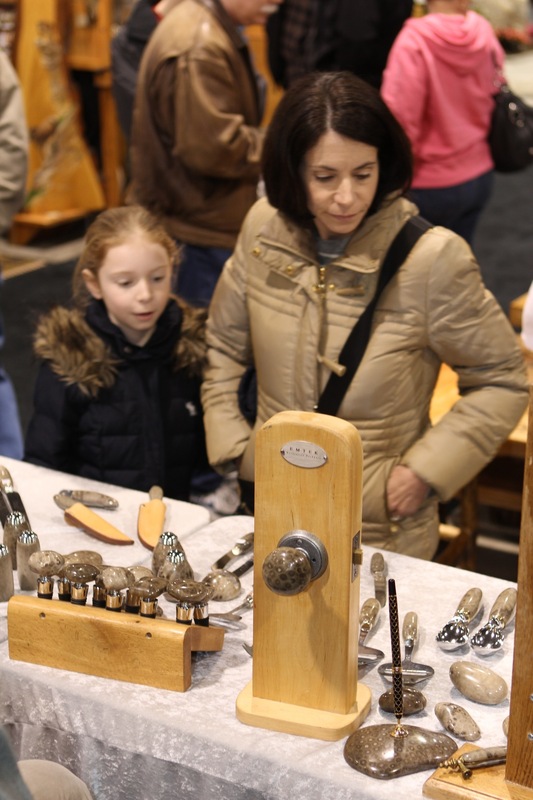 Decorative accessories, gourmet foods, handcrafted items and lake-themed merchandise will be available for purchase at the Lakefront Marketplace. DreamCatcher BoatWorks of Grand Rapids will display custom-built stand up paddleboards and classic-styled skateboards and longboards and demonstrate handcrafted building techniques on a fishing kayak. Michigan Chapter of the Antique and Classic Boat Society, dedicated to the preservation and enjoyment of historic boats, will have restored boats on exhibit. The Water & Woods Photo Contest Display allows showgoers to choose the entry that best captures cottage and lakefront living. Exhibits with displays, information and educational materials include lakefront cottage and homebuilders, new construction log, timber frame and cedar homes, realtors, vacation homes for sale or rent, rustic and fine furnishings and accessories, shoreline and cottage landscaping, lakeshore maintenance, docks, decking systems, boatlifts, seawalls, outdoor recreational equipment, stand-up paddleboards, financing and other products and services. Experts throughout the show will share tips, advice and knowledge on purchasing, renting, planning and maintaining spring, summer and year-round vacation and lakefront homes. Landscaping ideas and tips for cabin, cottage and lakefront landscapes are incorporated into displays that include outdoor living spaces, fireplaces, cooking options, patios, decks and garden products. 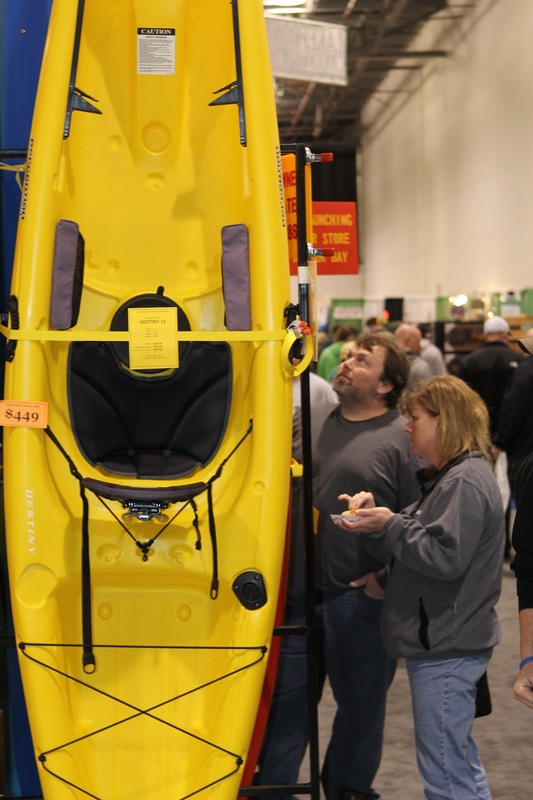 Entry level to luxury pontoon boats, fishing boats, family sport boats, jet skis, kayaks, wakeboards and runabouts will all be on display. “We can help create new family memories and bring about your dream cottage or vacation home this year,” said Baker. 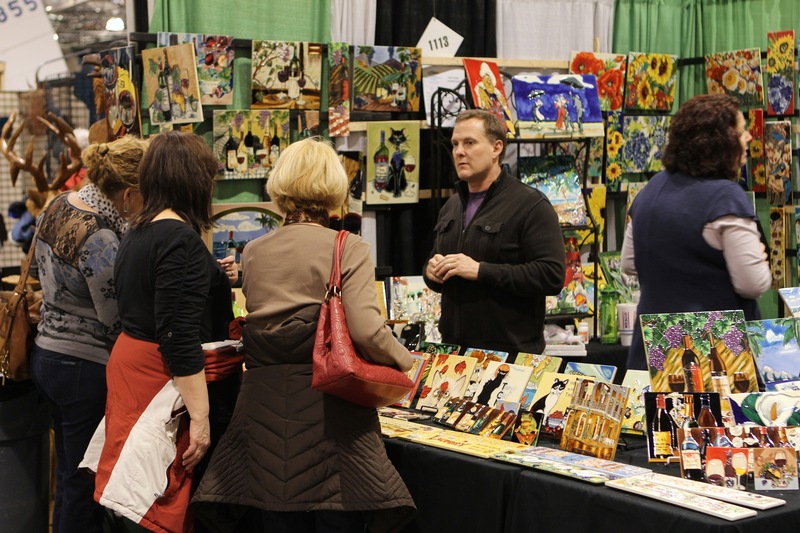 Suburban Collection Showplace is located at 46100 Grand River Ave. between Novi and Beck Road in Novi, Mich. Show hours are from 1 – 9 p.m. Thursday; 11 a.m. – 9:30 p.m. Friday; 10 a.m. - 9 p.m. Saturday and 10 a.m. - 5 p.m. Sunday. Admission is $10; $4 for children 6-14 and children 5 and under admitted free. Discount promo code for Thursday or Friday online $8 ticket purchase is LAKE. 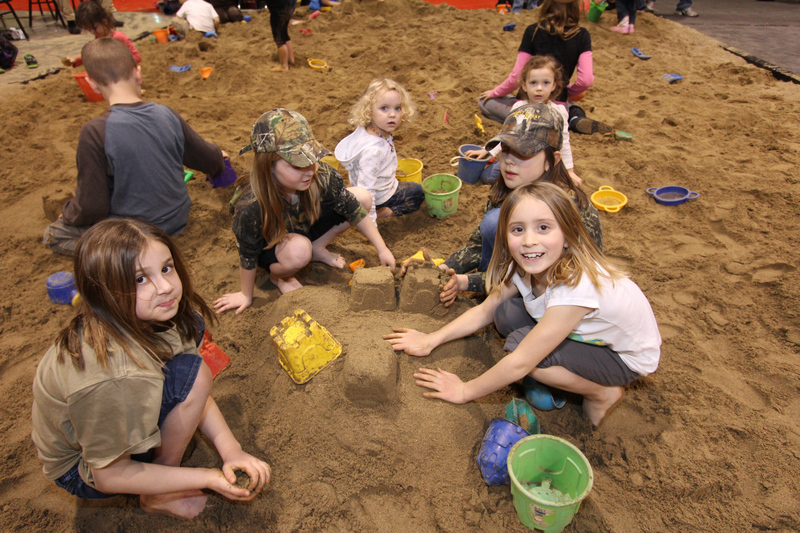 Free crossover admission from the Cottage & Lakefront Living Show to Outdoorama. On-site parking is available for a fee. For more information, visit http://www.NoviCottageShow.com, Facebook.com/CottageAndLakefrontLiving or call (800) 328-6550.